Lydia Harambourg has organised an exhibition at the Jean Couty Museum, which cross sections Jean Couty’s works with Bernard Buffet’s. It will run until 14th April 2019. 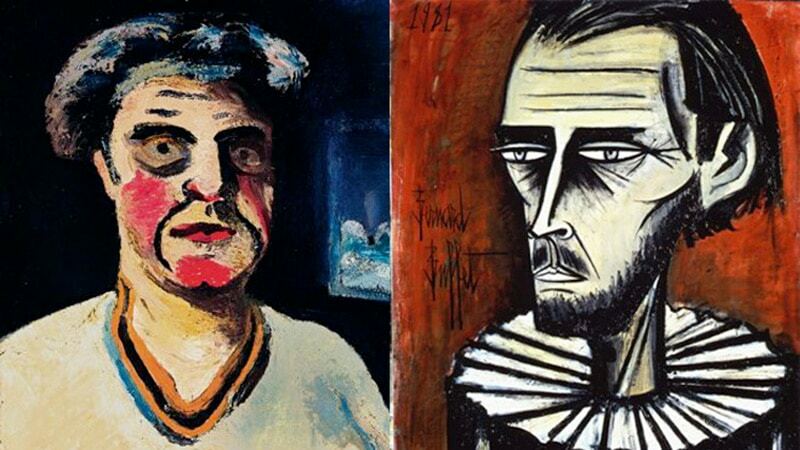 © Left : Jean Couty, Self-portrait, 1936 – Right : Bernard Buffet, Self-portrait 13, 1981. ADAGP, Paris – 2018. Both artists of the 20th century, from the branch of figurative French painting, Buffet and Couty’s works compliment one another perfectly. The Jean Couty Museum has brought together over 60 of the two artists’ paintings and drawings. The two painters shared many of the same values, such as openness to modernity. Couty and Buffet both also desired to reflect and represent reality, as well as wishing to involve themselves in and engage with their art. The artists’ shared mindset can be discerned through viewing their paintings along side one another. This is the first time that the world-renowned artist Buffet will have his works feature in a Lyon museum. It is certainly not an experience to be missed! Entry costs 6€ at full price, or 4€ for those eligible for a reduced tariff. Children under 12 can enter free of charge.